This set was released on May 12th, with 5 cards per 400-yen pack, 20 packs per box, and 12 boxes per case. Base cards have a tan/gold top border that fades to white. Backs include prior year and career statistics. Rookies get a special logo on the front, and rookie designation in place of the statistics on the back. There are 90 cards in the base set, but cards are numbered 1-70. 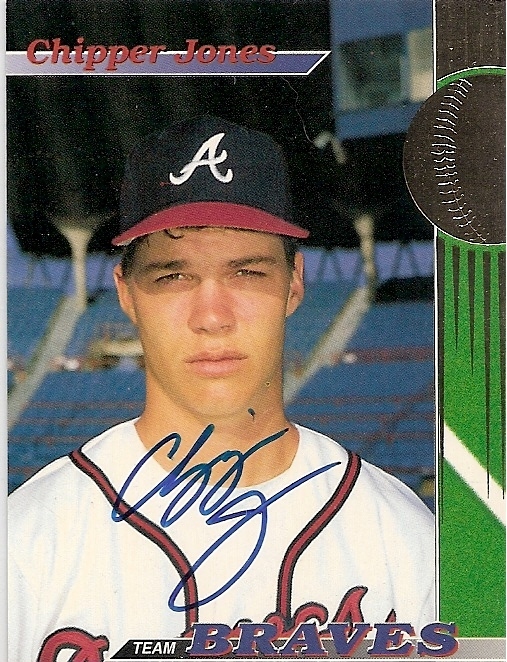 As you see in the above card, 20 players have multiple cards with image variations; those players have "a" and "b" card numbers. The most common insert set is titled Rookies & Stars, and features 27 cards. Like BBM's insert sets, Epoch doesn't put much thought into their inserts beyond "make it shiny." The Holografika insert set is serial-numbered to 64 copies each. And there are two autographed sets. Autographs A features 29 subjects (997 total cards), while Autographs B has 16 (155 total cards). All of the players in B are in A, so B serves as a sort of parallel. B does have a smaller print run; A is #/50 or less, with B #/10 or less. The above image is a promo from Epoch; I believe the top two cards are "B" autographs, with "A" in the middle. The bottom two cards are Holografika. Each box contains 100 cards, which Epoch claims is 95 base cards, 4 inserts, and one autograph. You would expect a full base set in each box, but I've never tested Epoch's collation. With 1152 total autographs by my count, there are thus only 1152 boxes, or 96 cases. And with about one set per box, there are fewer sets of this product than most BBM "limited" box sets. 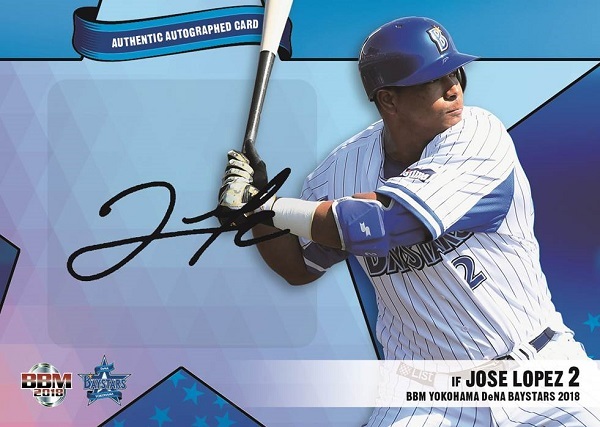 The BayStars team set was released in mid-April, with the standard six cards per 400-yen pack, 20 packs per box, and 12 boxes per case. Regular base cards have full-bleed images with a white bottom border containing the usual information over a star background. Backs are also standard for BBM. Cards carry a DB prefix, and regular cards are #1-69, with #DB69 being a mascot card. The first subset Quality Starters (#70-72) features the team's top three starting pitchers. Young Guns (#73-75) are younger players. Heart of the Order (#76-78) feature the team's sluggers. W Aces (#79-80) should be pronounced "Double Aces", as the W is usually used to mean double. These two cards are identified as combo cards by BBM. Card #81 is a checklist with the team logo. Nine regular player cards in the base set can be found with Gold Foil Signature parallels, #/100. The BayStars team set includes a 15-card Phantom insert set, limited to 25 copies each. Finally, BBM issued a nine-card promo set for bookstores and stadium events. Stadium Event Promos include a Left Handed Starters four-player card #PR10, while Bookstore Promos included a Blue Flame parallel #PR11. These cards parallel the regular designs with color variation and separate numbering, #PR01-PR11. I don't remember the last time a manager had an insert card. Then again, I'm usually not paying much attention. It's always good to see one of my favorite players pop up on unexpected cardboard! As hot as Ohtani is in the US now, his regular cards haven't really gone up in price here. That may be because he's already the most expensive card in the set, or because card shops are just too busy or lazy to search through all of their boxes just to make a few extra yen on a few cards. 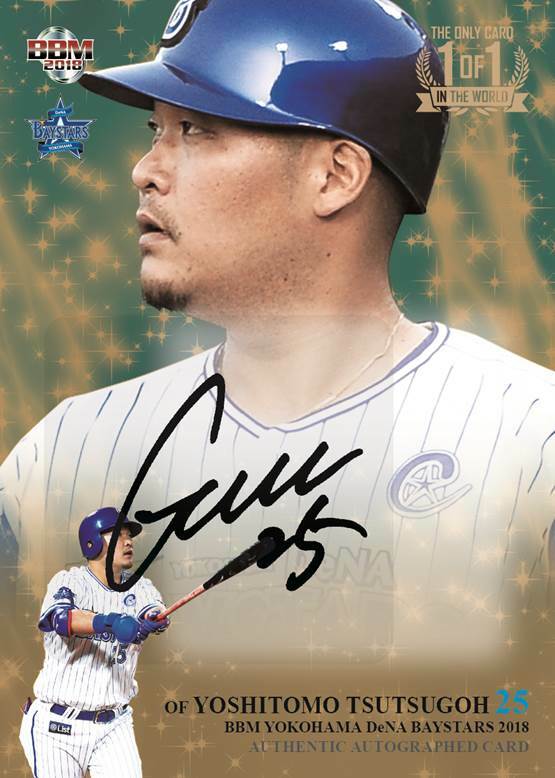 That's a good thing, because I needed one of his cards for my 2016 Calbee set. This is the only Calbee set I'm building from the time I moved to Japan. There are plenty of older Calbee sets, but I've managed to get all of the Calbees except 2013 and 2016 - 2013 is not something I'm working on right now. Series 1 never got finished because that came out as I was preparing to move to start a new teaching position (same company, but kind of a promotion of sorts). And I just bought the Series 2 and Series 3 sets, but the Series 2 set came without any of the insert sets (rare or non-rare). I really like a lot of Calbee's checklists, and there are some good photos here. But others aren't much different from the base set. But they do highlight specific events early in the 2016 season! One more checklist, and that Ohtani I mentioned. 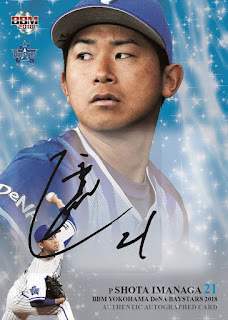 I'm sure one of the Star Cards I'm missing is an Ohtani, and I wouldn't be surprised if one of the checklists features him too. Speaking of Star Cards, here are the two I got most recently. Where does that leave me? Three Star Cards, three Legends, one Exciting Scene, and two Checklists. I might even be able to finish that set this weekend. We'll see, right? Finally Answering the Question: What do you put in a snowboarder's relic card? If you're making a card for the Real Venus set, it doesn't need to be a piece of snowboard. When it comes to BBM's Real Venus set, there isn't much to expect. There's a base set and insert set, some parallels, and a few variations of autographed cards. Really, BBM doesn't do much with relics at all, which to me says that it's more expensive or difficult to make a relic card than an autograph card. I guess when all of your autographs are stickers, it's pretty simple, right? In 2013, BBM did make a relic card for one of its Real Venus subjects. Karen Iwadore was the poster athlete for the set, and had some special cards made with her wearing various cute Christmas costumes. #FSM is a "Fuji Television Limited" card with a swatch of a felty plaid Santa dress. This card is serial numbered #060/200. She also had a card in SCM Magazine, wearing a standard cute red Santa dress. This wasn't a relic. If you're looking for more cards of Iwadore cosplaying as Ms. Claus, there's an autographed card #SA numbered to 30 copies. Relic cards of the red dress are also found in packs, serial numbered to 200 copies; also found in packs is a dual-relic card with both costumes #/20. I guess the answer to "What do you put in a snowboarder's relic card?" is: a Santa costume. I don't think I want Shaun White's relic card. 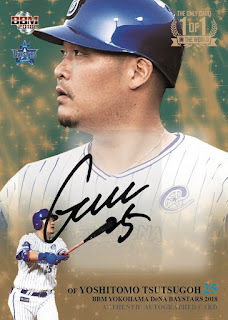 Upper Deck seems to be willing to try anything, and they definitely poked around the Japanese card market a lot around the year 2000. I believe it started with the 1999 MRM set for the 2000 Japan Olympic Team, and in 2000 proper they issued a couple NPB sets. They repeated the process in 2001 before pulling out for whatever reason. 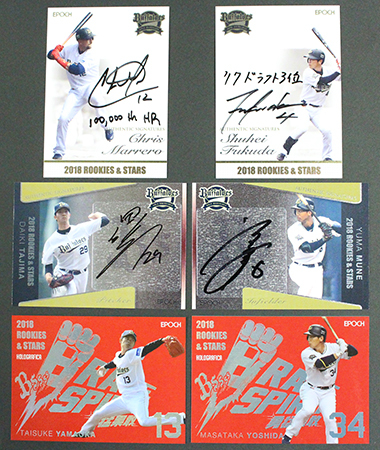 Perhaps three major companies (BBM, Calbee, and Upper Deck) were too much for the Japanese market. Or perhaps Upper Deck's cards just weren't a good fit. They did market a few card sets over the next decade here - the Yunker Ichiro set I posted about recently, Kellogg's MLB cards, and the 2009 CardGen gaming set. 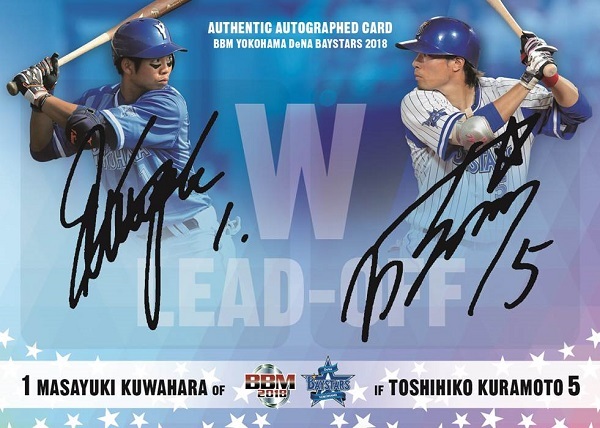 After the loss of their MLB license, Topps has issued MLB cards in Japan from time to time. Dice-K (Daisuke Matsuzawa) is not a top-tier player, but he certainly commands a premium. This is from the Ovation insert set called Oendan Favorites. And one of the true "key" cards in the set, though it didn't scan well. Here's Ichiro in his Standing Ovation insert card. Katsuya Sugawara has back-to-back cards in the set, but he's just a common. And #57 is Masaji Hiramatsu, a semi-star who also has back-to-back cards in the series. Two of the remaining cards are the two key cards, and 28 are the elusive "high" series. The search continues! Long time, no post. I've been busy, as usually seems to be the case. Personal stuff, work stuff. Blah blah blah, same as always. I want to post regularly, of course, but life gets in the way. However, I think I'll have some more time most weeks through June, so I should be back in a routine soon. The first question has some interesting side effects. Given my collection, I'd have to assume that all of my sets would now be half-complete. Or, would it be that half of my complete sets would disappear? If my sets were to become half-finished, that would essentially mean I'd have to just start over with all of them. (What's cheaper and easier, buying a full 1991 Fleer set or buying 400 commons of 1991 Fleer?) If half of my complete sets vanished, then I'd just have to replace them. For insert sets, either option would be about equal, as I've built them card by card. But for all of those base sets, this makes a big difference. As for the type collection, I'd lose a ton of cards. No particular card in that collection is very sentimental to me, but I'd lose over 5000 cards. Only 1000 of those would be base cards, leaving 4000 parallels, inserts, hits, and oddballs to hunt for again. I do have a few other collections that would require a lot of hunting to re-complete or at least rebuild to current levels. Those cards aren't sentimental in general, just a lot of cards and a lot of work. But what would really hurt would be my personal and player collections. Or, specifically, those hits found in those collections. Many of them are replaceable, but it won't be cheap, or easy. Some of the non-sport cards rarely show up in auctions. And then, all my Japanese cards and non-sport sets would be at risk. And what happens to all of the 1/1 cards in my collection? Do they completely cease to exist, being stricken from existence? Does someone else have them? Or much like cards damaged in a fire, remain on checklists but become forever unattainable? Would I do it? Much like Fuji said, it would have to be a mint T-206 master set with all of the errors and variations (front and back). But it wouldn't be (just) for the nostalgia or rarity. It would be to sell it off. Heck, selling a Wagner alone would provide more than enough cash to replace everything lost and then some. And with plenty of spending money from the other cards, I could really work hard to have a real type collection (as if 28% of all known cards in existence isn't real), and the other collections would be easily tackled. And retire. And spend the rest of my life traveling the world, sightseeing, watching baseball games, and riding roller coasters. Ah, wouldn't that be the life. As for the second question. I only get one particular card, and a single (other) player's cards and memorabilia are erased from existence. Hmm. Now, if you think that's cheating, give me any of these players who can't handle their attitudes. Bryce Harper, Rougned Odor, Jose Bautista, just to name a few. Yeah, they have big fan bases because they were hyped or had one clutch moment, but these guys should not be role models. They really aren't that good to begin with (Harper's leading the three with an average around .280... hardly superstar material). They're undeserved divas. But what card? Again, greed comes into play. Give me every Honus Wagner T206. Or Ty Cobb T206. Or Mickey Mantle 1952 Topps. I'll sell them off and use that money to build my collection and, again, retire early, spending time traveling and enjoying life. I'm not going to hoard them, but just take advantage of the situation. I also considered adding a truly unique card to my collection. I remember Upper Deck offering a custom cut-signature card about 10-15 years ago, and that would be cool. That gives me an idea for a future post... or even another blog bat around! But that'll have to wait.